Here is spacious holiday accommodation you won’t see every day. Mooloolaba resorts such as The Breeze are exceptional. The Breeze offers everything you could possibly need for your next family holiday on the Sunshine Coast. It’s not just the superb beachfront location and easy walk to a great range of dining and shopping options. 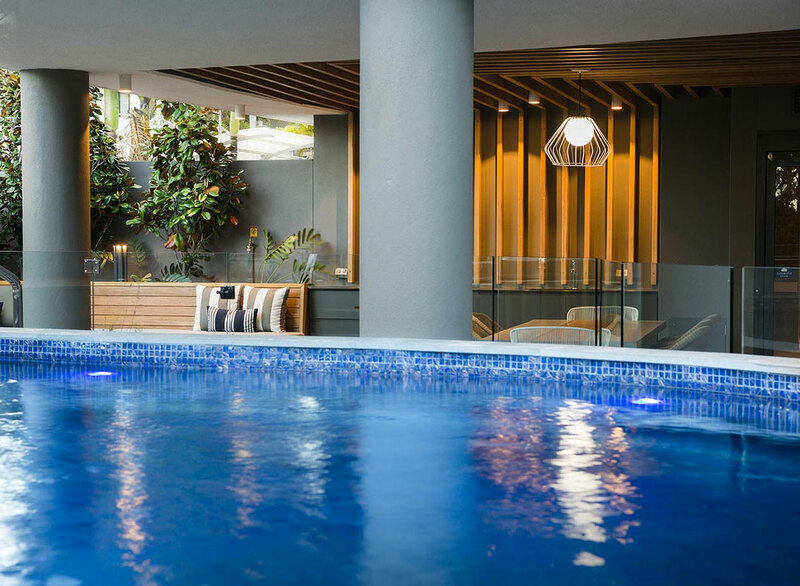 The Breeze apartments have been designed as the ultimate Sunshine Coast holiday resort destination. 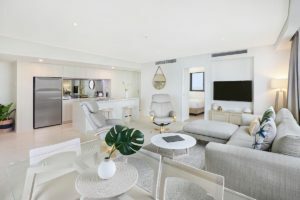 The Breeze Mooloolaba‘s distinctive architecture and design sets it far apart from everything that has come before it. On first look the organically shaped floor planes give the building it’s unique profile. Each level has differently shaped balconies. Designed to allow for maximum sunshine and light for all apartments, and of course optimal space for outdoor living. This is democracy in action. Everyone get’s their fair share. The shared outdoor entertainment area in the courtyard has been given similar consideration to design. The beguiling heated pool, outdoor spa and barbeque are present as standard amenities, but their presentation and exquisitely landscaped garden setting signal this is far from ordinary. It’s another retreat to soothe the senses. The Breeze apartments, whether you choose from the one, two or three bedroom options all come with a fully equipped chef’s kitchen, with surface finishings to die for — robust timber laminates and durable, premium 2-pac coatings for the kitchen cabinetry. It goes without saying the appliances are high spec European models. Everything is just minutes from everything that you could possibly need on a beach holiday. Isn’t that luxury; just stroll to the restaurants, cafes and boutique shops. 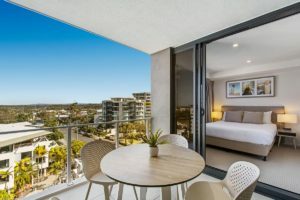 Of course you don’t have to stay in Mooloolaba all the time, there is much to explore on the Sunshine Coast, the nearby beach areas, a day at Australia Zoo or Aussie World. Perhaps take a drive into the Sunshine Coast hinterland. Each day is different.. You will never be short of fun and exciting activities to do, or if you feel like relaxing, then you can do that to. Here, at The Breeze. Lounge by the swimming pool, or on the beach. Top up your tan. Mooloolaba resorts have nothing on us, The Breeze has it all. 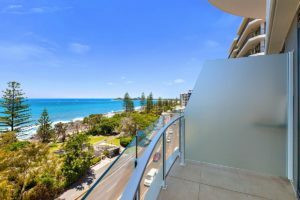 Book your beachfront apartments in Mooloolaba now.